Such a narrative stands in direct contradiction of daily propaganda emanating from Western media monopolies portraying Iran as a global threat to peace and stability, and in particular, “bent on” attacking the US and its allies, particularly Israel, for no other reason but fulfilling fanatical, ideological hatred. It reveals an embattled, besieged Iran seeking to stave off foreign encirclement, destabilization, and literal invasion. RAND openly notes that the conflict is not about “defending” Israel or preserving US national security, but instead, centered on America’s attempts to project power into the Middle East – half a world away from its own shores, and Iran’s attempts to resist foreign hegemony. Others have argued that Iran will seek to challenge the prevailing orthodoxies on deploying, posturing, and targeting nuclear weapons, believing that the mere acquisition of the bomb (or even nuclear technology itself) will be a sufficient psychological deterrent. Press statements, writings in military journals, and other glimpses into Iranian thinking on this issue appear to support the conclusion that Tehran regards nuclear weapons as powerful psychological assets but poor warfighting tools. The actual military components of this deterrence strategy include, most obviously, the drive for an indigenous enrichment capability and a potential nuclear weapon; short- and medium-range ballistic missiles; asymmetric warfare and terrorism; and popular mobilization to defend the homeland, should an invasion occur. While this may appear to Western observers as a push for hegemony, Tehran likely sees it as a multilayered form of strategic defense that extends deep into the enemy’s camp and encompasses a variety of political, military, and economic levers. Claims made by politicians and commentators across the Western media, portraying Iran as a hegemonic regime bent on nuclear holocaust are betrayed by the actual tactical, strategic, and political assessments of the West’s very own policymakers. Nowhere in RAND’s report is it mentioned that Iran seeks to pass nuclear weapons onto non-state actors. In fact, possession and control of any potential nuclear weapon would fall under Iran’s Islamic Revolutionary Guard Corps (IRGC) which currently controls the nation’s chemical and biological stockpiles, estimated in another RAND document to include an inventory of up to 2,000 tons. If, for decades, these weapons of mass destruction have remained safely under the control of the IRGC without being proliferated among Iran’s many regional proxies, why would Iran risk proliferating a nuclear weapon among these groups? Of course, US policymakers admit, Iran is hesitant to wage even a conventional war against its enemies. Also in 2009, another prominent US policy think-tank, the Brookings Institution, would build an entire document around lamentations over Iran’s reluctance to be provoked into war with the US and its regional partners, including Israel. 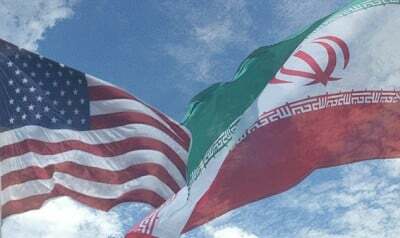 In a similar vein, any military operation against Iran will likely be very unpopular around the world and require the proper international context—both to ensure the logistical support the operation would require and to minimize the blowback from it. The best way to minimize international opprobrium and maximize support (however, grudging or covert) is to strike only when there is a widespread conviction that the Iranians were given but then rejected a superb offer—one so good that only a regime determined to acquire nuclear weapons and acquire them for the wrong reasons would turn it down. Under those circumstances, the United States (or Israel) could portray its operations as taken in sorrow, not anger, and at least some in the international community would conclude that the Iranians “brought it on themselves” by refusing a very good deal. However, because many Iranian leaders would likely be looking to emerge from the fighting in as advantageous a strategic position as possible, and because they would likely calculate that playing the victim would be their best route to that goal, they might well refrain from such retaliatory missile attacks. Behind the West’s rhetoric of a “dangerous” Iran committed to a policy of “regional hegemony” and “nuclear holocaust,” more honest, if albeit less public assessments of Iran, reveal the nation to be committed to self-preservation, so much so that it may resist attempts to provoke it into war despite the West arming and funding both political sedition and armed terrorism within their country, and outright, unprovoked military attacks upon it. In this light, the global public might find an interestingly different conclusion as to who is behind regional and even global chaos – those who secretly assess the non-threat of a nation, while publicly manufacturing threats to justify otherwise unjust wars built on hegemony, not self-defense.